Francesca studied at The University College of the Arts in Norwich where she achieved a B.A. Honours in Fine Art. She went on to study at the London Atelier of Representational Art. Francesca now works full time as an artist at her studio in Worcester. She accepts portrait and still life commissions. 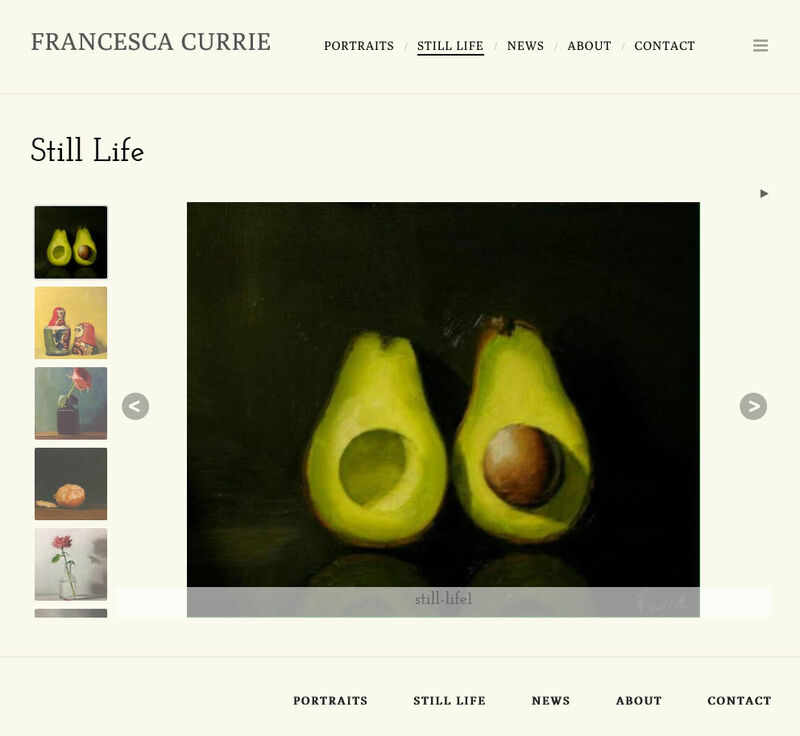 This is a content managed portfolio website that displays Francesca’s art in a clean and clear manner.